The annual council elections lets us take a snapshot of the far right groups futilely chasing electoral success (in the same way that counting 100 sorry looking blokes standing behind a wall of police outside a Wetherspoons gives a good indication of the dismal state of the EDL). Council elections have a particular significance for the BNP. For many years, the party’s strategy has focused on steadily building up support in local council wards as a way of legitimising the party in the eyes of voters and as a stepping stone to winning seats at a regional or national level, such as in the London Assembly, European Parliament or the House of Commons. The relatively low number of far right candidates this year indicates that, for the time being, this strategy is a non-starter for the fascists. Hope not Hate has produced a list of most far right candidates, but have unhelpfully grouped the couple of hundred fascist candidates with the 2,000+ UKIP candidates which makes it difficult to use. The list is also missing some BNP council candidates. We will post a full list of far right candidates on our website shortly. The Hope not Hate list does give a reasonable overview though and confirms that the BNP have virtually collapsed as a functioning electoral machine. There are only 112 BNP candidates in this election compared to around 740 candidates in 2010 when these seats were last contested. That’s quite a drop. It’s clear that the BNP has been unable to rebuild its organisation following the bitter internal struggles and splits in the last few years. They have proved incapable of taking advantage of the favourable political climate and have been comprehensively outmanoeuvred by UKIP. However, it also indicates that the party has halted some of its decline. They are standing slightly more candidates than they did in the 2013 council elections – when they had 104 candidates – even with the additional strain of standing in the European elections this year. Is there something in the water in South-East London? The list of candidates also provides a good snapshot of the remaining areas of strength. The largest group of candidates by far is in Bexley in South East London where there are 21 candidates standing. Bexley must have one of the largest BNP branches in the country as many others do not even have enough active members anymore to stand this many candidates. Former prominent BNP member Michael Barnbrook (a delusional man who genuinely believes he uncovered the parliamentary expenses scandal) is also standing an independent in Bexley. We are not aware that he has disavowed his fascist past or politics. Outside Bexley, there are five candidates in Greenwich and three in Bromley. 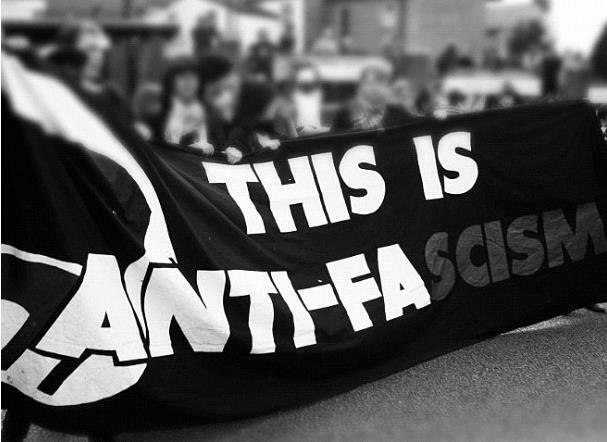 Elsewhere in London the picture is rosier for anti-fascists. London BNP organiser Steve Squire has managed to scrape together six candidates in his home borough of Enfield but he’s not managed much else. The party has disintegrated in its former strongholds in East London and there are only four candidates in Barking & Dagenham where the BNP were the official opposition on the council until 2010. The neighbouring borough of Havering has two candidates, despite regular BNP activity in the area and the party’s much publicised foodbank. It looks like the BNP has realised that the party does not have the capacity to mount a campaign to defend Nick Griffin’s North West seat in the European Parliament or regain the Yorkshire seat held by retiring far right MEP Andrew Brons (who left the BNP in a huff in 2012). Apart from seven candidates in Stockport and five in Salford, there are few candidates anywhere else and none in places where the party was previously able to garner worrying levels of support. The networks of local activists who supplied hundreds of candidates across the region in 2009 and helped win two seats in the European Parliament have thankfully crumbled away. There are no BNP candidates in Oldham, Kirklees, Leeds, Rotherham or Bradford. All of these places had elected BNP councillors in recent years. Equally disastrous for them, there are only two candidates in Burnley where the party was at one time the second-largest group on the council. Another reason to cheer for anti-fascists: Brian Pendle is defending his council seat in Pendle and will almost certainly lose. This will leave the BNP with only one elected councillor in the entire country (Cathy Duffy in Leicestershire). The other areas where the BNP appear to have retained some strength or organisational competence are Coventry where there are 13 candidates and Worcester where are eight candidates. The number of candidates in both of these places is odd as there has been little support for the far right in either city in recent years. They may have competent local organisers. Places to keep an eye on. Outside the areas already mentioned, there is really only a smattering of candidates. Particular highlights include one candidate in the entire South West (Chris Stone in Exeter, is it a bit lonely down there Chris?) and only two candidates in Birmingham where the BNP used to be able to stand a full slate of 40 candidates with ease. This is yet another former stronghold where the party has withered. There are two candidates in Larne in Northern Ireland. This may be a good thing as anytime the BNP has attempted to get involved in Northern Irish politics in recent years the ensuing results have been chaotic and damaging. No other fascist party has achieved noticeable electoral success in the last 20 years apart from the BNP. Still, a small collection of slow learners from other, smaller far right groups have decided to try their luck again this year. Those paragons of white unity the National Front torpedoed their own, admittedly slim, chances by splitting into two rival factions (hilariously, this is not even the first time this has happened). The one that has retained the right to use the National Front name is standing five candidates in Essex plus party leader Ian Edward in Hillingdon. They are going nowhere fast. The other faction is standing three candidates as independents across London including veteran fascist and former BNP’er Richard Edmonds. Even though party leader Andrew Brons is not defending his seat in the European Parliament, the British Democratic Party are still trying to make a go of it with a collection of rejects from the BNP. They are standing three candidates in Newcastle (including former BNP North East organiser Ken Booth), two in Bradford (including former BNP councillor Jim Lewthwaite), one in Leeds (former Leeds BNP organiser Kevin Meeson) and one in Redbridge (former BNP councillor Julian Leppert). 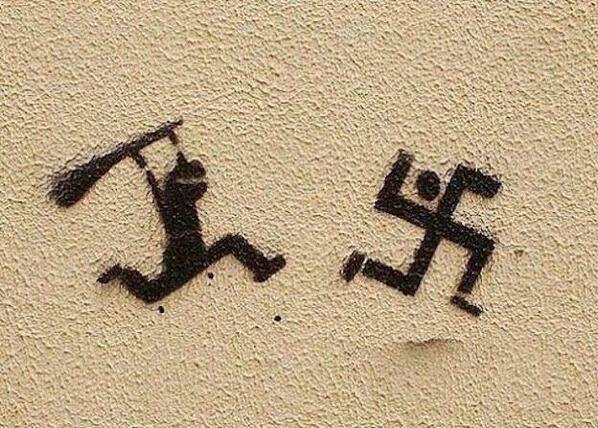 It is gratifying to see that the BNP has effectively collapsed in so many places where they once posed a real threat. This isn’t the time to kick back and relax though. With the far right in a weakened state, anti-fascists have been presented with a golden opportunity to put then out of business for a generation. This happy state of affairs is unlikely to last. The success of UKIP is once again pushing the political consensus toward the right and the social issues the BNP previously successfully exploited are still there. The emergence of a new group, a more effective leadership or some chance, unexpected electoral breakthrough could reinvigorate the fascist right, and leave us once again on the back foot. We shouldn’t waste the opportunity we’ve got.